Born and raised within rural communities in the Bay of Plenty and being an old boy of Edgecumbe college, Wayne is proud to call the Bay of Plenty home. In 2002 after an eight-year career in the RNZAF as an avionics technician being based at Whenuapai’s 40 Squadron transport wing; Wayne embarked on a career within the dairy industry that spanned 12 years and saw him and his young family large-scale share milking in the South Island before finally purchasing a dairy farm in Kaikoura in 2008. During this dairy farming period, Wayne completed a number of Massey University courses including Sustainable Nutrient Management and Effluent Management. From these qualifications, Wayne was then offered a management position at Tatua, a successful dairy company known globally for producing high-value products. One of his key responsibilities while at Tatua was to investigate and implement a new plan for the company on how to sustainably manage its wastewater. Having spent three years at Tatua, Wayne saw an opportunity to broaden his horizons within real estate and leverage his rural background and knowledge. 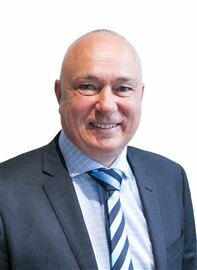 In 2016 Wayne entered Harcourts Hamilton as a Rural and Lifestyle Sales Consultant. Partnering with a reputable brand, encompassing a high standard of ethics and culture, and implementing the latest technology, was important to Wayne. 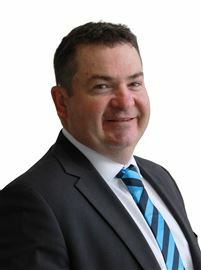 He proved in a short period to be an effective sales consultant and placed in the Top 10 Harcourts Rural salespeople nationally in his first year of sales. 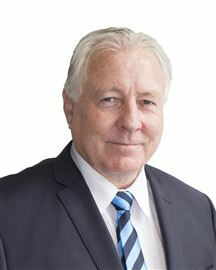 In early 2019 an opportunity presented itself for Wayne to purchase a share in the Harcourts franchise, ETB Realty, with offices in Rotorua and Whakatane. ETB Realty operates highly successful Residential, Commercial, Rural and Lifestyle and Property Management divisions throughout the greater Rotorua region and Eastern Bay of Plenty. As an experienced marketer and negotiator, Wayne is passionate about getting out in the field with the team, meeting with clients, as well as developing the Harcourts ETB Realty business. Alongside his colleagues, Wayne is passionate about supporting the local community through a number of charities and fund-raising projects. Wayne loves spending time with his wife Suellen and two children Charlotte and Isaac. He loves the outdoors and getting away from it all. Nature is a great way to reset. Dedicated to getting results 15 years in the golf industry taught me many lessons that I bring to Real Estate. Work ethic has been instrumental in my past career and I happily apply this to being a successful salesperson with Harcourts. I want your referrals and your testimonials so will work tirelessly in my role. Building relationships, being honest and genuine are traits that are inbuilt and I will always be that person. Ant is who you will get from start to finish. Keeping it simple, professional and friendly is another area I believe in. I want you to be able to call me anytime or if we see each other on the street I want to be able to have a chat. I use the catch phrase “ASK ANT” that you will see around Rotorua so do exactly that when thinking about your next property move. 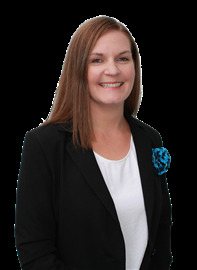 Originally from South Africa, Beverley arrived with her husband in New Zealand in 1999, swapping the rat race of Johannesburg city for a more peaceful lifestyle in Rotorua. 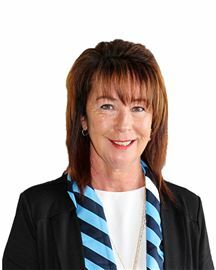 Beverley has been in real estate since 2009 and thoroughly enjoys working with people from all walks of life. Her dedication to getting a great result is evident in her track record. 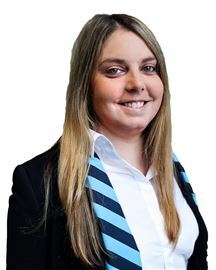 She sells over 84% of all the properties she has brought to the market in her career and thoroughly works with buyers through conditional agreements to get deals over the line. 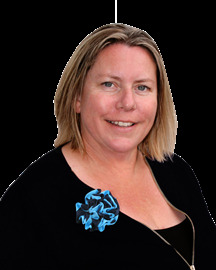 Her caring nature and passion for people, combined with her knowledge of Rotorua and the real estate market make her an invaluable asset to Hielke’s team. Beverley has three children and in her free time is exploring the pristine wonders of New Zealand. She has tried and thoroughly enjoyed sailing, kayaking, skiing and tramping and is always looking for opportunities to try something new. Jon emigrated to New Zealand in 2009 and is really enjoying his new life here with his partner Pam and pet dog, Buddy. He came to our country with a wealth of business experience in marketing industrial products and enjoyed many senior management roles in local and international markets. His job sometimes required him to deal with Ambassadors at the European Union, but he is equally comfortable talking to labourers working on a building site. Running concurrent with his business life, Jon also completed a Marketing Diploma and then was asked to lecture marketing, leadership, strategic management and related subjects to MBA students at various Business Schools. He lectured part-time and was mentor to business professionals for 18 years. He also spent a few years lecturing part-time at the Sharks Rugby Academy in Durban. He ran sales management, customer care and event management modules to young players seeking a career in rugby and beyond. He has an honest approach to business and will go above and beyond the call of duty to ensure both parties to a transaction are fully satisfied. Jon is a lateral thinker and you will find him easy to get along with when you engage with him. 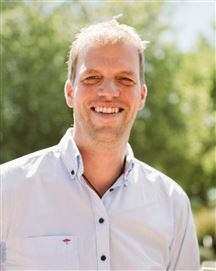 When he is not working, Jon is an avid reader, plays golf, cricket and renovates old furniture. He has played international indoor cricket and still enjoys playing during the summer months. If you are considering a move, Jon would welcome an opportunity to talk to you. He brings a caring, common sense attitude to real estate that is refreshing and productive. THE ONLY WAY TO DO GOOD WORK, IS TO LOVE WHAT YOU DO. First, thank you for taking the time to let me introduce myself to you. 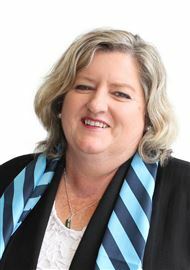 Having been in the real estate business for nineteen years, fourteen of which have been with Harcourts, I believe I have a good understanding of what matters most to sellers. I grew up in Wellington along with my 4 sisters, one of which who has special needs. I moved to Rotorua in my late 20’s having spent a weekend here and falling love with the city. I have three children and six adorable grandchildren. For the right advice the first time, every time. Call me and would love the opportunity to be of assistance to you. 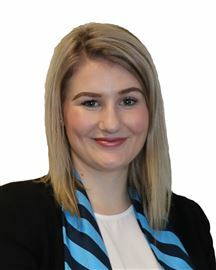 Already after only three years in the Real Estate industry, Nicole is proving herself to be super successful, committed, enthusiastic, loyal, honest and a very hard worker. Nicole joined forces with Angela in early 2017. She loves working with buyers, in their nerve-racking and exciting time of purchasing a home. 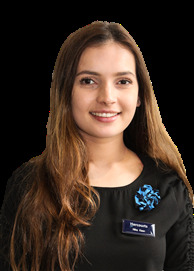 Born and bred in Rotorua, Nicole attended Kaharoa School, then Western Heights and has great general knowledge of Rotorua. She has grown up playing in the wonderful outdoors, mountain biking, karting, and motocross with her close knit family. She is now highly involved in the Ngongotaha Fire Service as a Volunteer Firefighter, which continues her passion for helping people. If you are looking at purchasing a home – you’d best call the unstoppable Team Parker! Paul is exceptionally well respected in Rotorua, not only for his unparalleled professional track record and high ethical standards, but for being an honest hard-working family man who does absolutely everything in his power to ensure his clients success. His commercial awareness stems from being a business owner himself, having spent 25 years as owner of Star Appliances, a Fisher & Paykel franchise store. His work ethos was exceptional service and to give his clients an outstanding retail experience, which saw him win many National retail awards over nearly three decades. After selling his business, 2006 saw a change in career when Paul was head hunted to develop the Commercial Department of NAI Harcourts in Rotorua. Within two years he was again standing on the podium accepting the end of year award for top commercial agent in New Zealand, an outstanding effort, particularly considering the provincial nature of Rotorua. 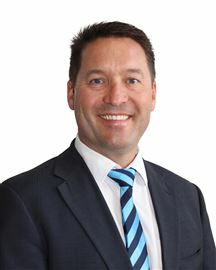 Now with over a decade’s experience in the commercial and industrial property sector, Paul has consistently been placed in the top 3 agents in New Zealand for NAI Harcourts. His efforts have not gone un-rewarded, with many accolades some of which include: •	Number two in New Zealand for NAI Harcourts Commercial 2017/2018 •	Central region top commercial agent for 2017/2018 •	Top overall salesperson of ETB Realty Ltd for 2017 •	Top Auction/Tender lister for the Rotorua office 2017 •	Number one in New Zealand for NAI Harcourts to August 2017 •	Number three in New Zealand for NAI Harcourts Commercial 2016 and 2017 •	Top Consultant in New Zealand for NAI Harcourts Commercial 2011 and 2012 •	Number two Commercial Agent in 2010 and 2013 •	Finalist - Retails Store of the Year 2004 •	Winner - Best New Zealand Appliances Retailer 2003 •	Winner - High Flyers Award, Central Region (Fisher & Paykel) •	Runner Up - Customer Choice Award 2001 and 2002 (Rotorua Business Awards) •	Winner - Customer Choice Award 1999 (Rotorua Business Awards) •	Winner - Fisher & Paykel Dealer - Best New Zealand Marketing 1997 •	Most Professional Business in New Zealand 1996 - Appliance Guild His experience is wide ranging in property sales and leasing, business brokering, consultancy and special projects. Along with Richard Marshall, Personal and Commercial Assistant, we strive to achieve at the highest level. Phoenix was born in China and emigrated to New Zealand when he was 20 years old to study English. He is fluent in English, Cantonese and Mandarin. Upon completion of his studies Phoenix was involved in the tourism sector in Rotorua for a period of 15 years. Looking for a new challenge Phoenix turned to real estate. He has rapidly established himself by creating a diverse and enviable base of satisfied clients. His success has been acknowledged at a corporate level when he was awarded a Silver certificate of achievement for outstanding results. Phoenix is dedicated to providing a high level of service to his vendors and obtaining the best possible price. Being able to speak Cantonese and Mandarin has been a great asset and has meant that Phoenix has become the preferred salesperson for many within the Chinese community. Look no further than Phoenix for your next real estate experience. 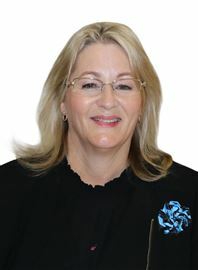 Carol has been in the Property Management industry for 8 years. 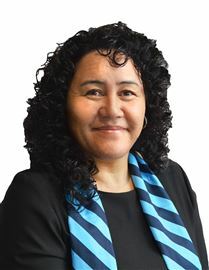 Her first 5 years were spent working in Whakatane where she helped build a new rental role. She enjoys the day to day challenges and excitement involved in dealing with both landlords and tenants from all walks of life. Carol always makes time for her peers, colleagues and clients and constantly proves that “nothing is too much trouble. Her ability to communicate at all levels makes her a valuable member of our team. 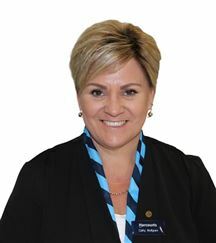 With over 4 years’ experience in the Real Estate Industry (the last 2 years concentrating on Property Management) Sheryl has a reputation for getting things done with energy and enthusiasm. 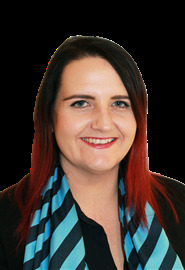 Passionate about meeting the needs of both Landlords and Tenants, Sheryl provides a welcoming point of contact for new and existing clients. Sheryl has a large family of 7 children and 8 grandchildren, she loves traveling and spending time working alongside individuals with special needs. Welcome to the next family! Lots on Offer - Make an Offer! Stanley Road at its Best!!! Here's A Great House For You! Hawkes Bay - Here We Come! The Time To Buy Is NOW!!! Big enough for all the family! Lake Views On A Beer Budget! Investors Look At This One! Lynmore Living at it's Best! Lock Up and Leave Potential!